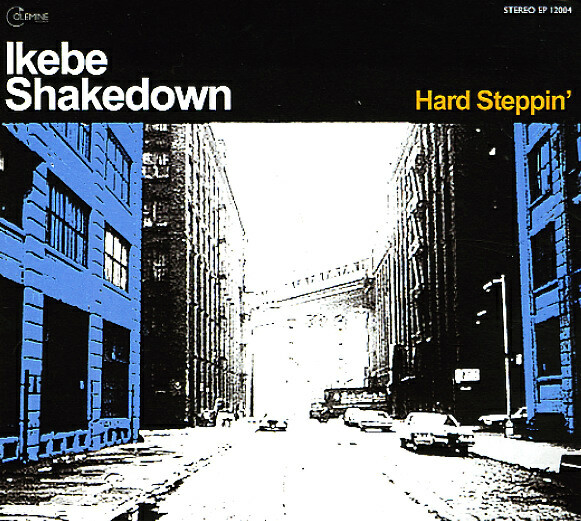 Hard Steppin funky sounds from Ikebe Shakedown – solid stuff from the fertile Brooklyn scene – blending hard hitting 70s funk & soul with both stateside and African influences! The group is young and doesn't take the task of honoring the pioneers of these sounds lightly – but the reverence isn't weighty or overbearing, and it's more about the getting the floorshaking groove spot on – which they do! The slower numbers are just as nice, on this debut EP – and titles include "Hard Steppin", "The Prisoner", "No Answer", "Afro Fred" and "Up In The Trees". © 1996-2019, Dusty Groove, Inc.